How do credit card companies detect fraud or abuse? How do network administrators discover intrusions? How do scientists know whether or not their experiments run correctly? In order to do these things, they analyze the data set and look for data points that are out of normality. For example, credit card companies look for unusual, high charges in certain transactions or strange buying behaviors. These actions might indicate that a credit card has been stolen. Network administrators search in the log files for irregular activities on the network, like an unusual load from some locations or network access from a foreign IP address, which are good indications of potential network intrusion. Similarly, scientists look to see whether data is out of the normal or expected ranges as an indicator that an experiment is not running correctly. These types of unusual or irregular activities are called outliers or anomalies. This article describes different methods to detect outliers1 in the data and how the Intel® Data Analytics Acceleration Library (Intel® DAAL)2helps optimize outlier detection when running it on systems equipped with Intel® Xeon® processors. 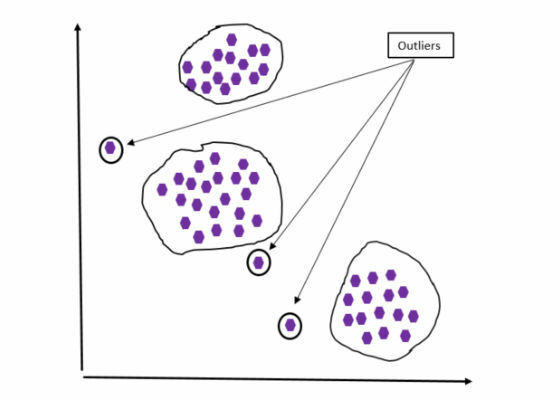 An outlier is a data point that is significantly different (abnormal or irregular) or deviates from the remaining data (see Figure 1). Figure 1: Outlier case #1. Each purple dot represents a data point in a data set. From the graph, the two data points are considered outliers since they are very far away from the rest of the data points. Figure 2: Outlier case #2. Figure 2 shows another case of outliers. In this case a data set is grouped into three groups (clusters). Any data points that lie outside the groups are considered outliers. 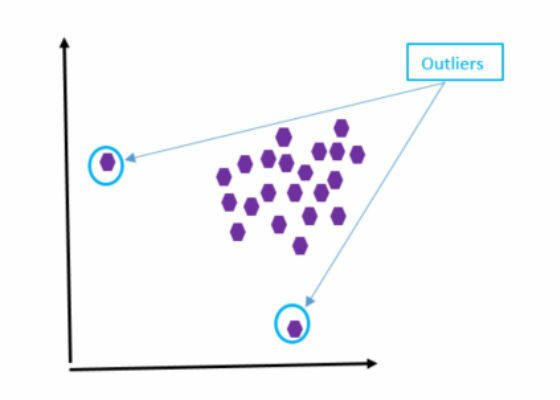 Figure 3: Outlier case #3. Figure 3 shows another case of outliers. Although the data sets are grouped into different groups, this case is different from that in Figure 2 because of the density of the data points. In Figure 2, data points are almost uniformly distributed in the groups, while those in Figure 3 have different density. Outliers can be both good and bad. By detecting irregular activities (outliers) in the network, network administrators can potentially discover and prevent data intrusion. On the other hand, detecting outliers and eliminating them can help eliminate or minimize the impacts in the calculation results. 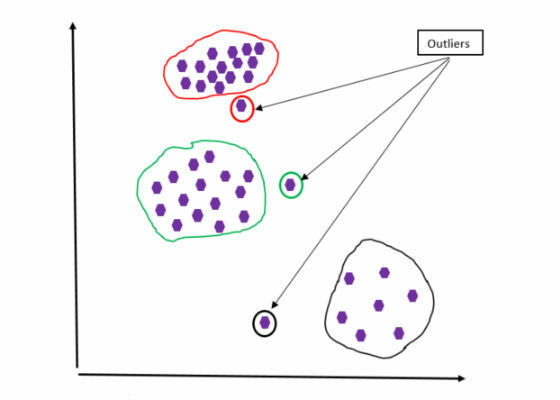 Outliers can skew and mislead the training process of machine learning3 algorithms, resulting in longer training times and less accurate models. For example, in the case of a K-means clustering algorithm, outliers in the data set will pull the centroid of a cluster away from its intended location. Data collection error: The data collection devices can collect unusual data due to noise. Data entry error: Incorrect data is entered. For example, mistyping the sale price of a house in a specific neighborhood can cause the price of that house to be out of the average range of house prices of that neighborhood. Selection type error: For example, consider high-school student heights. Some high school basketball students are very tall comparing to their fellow students. Those student heights are outliers. To be correct, the heights of the basketball students should be measured separately from the overall student population. Conversion error: Manipulation or extraction errors when extracting data from multiple sources can cause outliers. The common way to detect outliers is to plot the data set and then look at the graph, similar to those shown in figures 1–3. These are just some of applications of the outlier detection methods; there are many more. This section shows how to invoke the outlier method in Python6 using Intel DAAL. Outlier detection plays an important role in fraud detection, network security, and more. 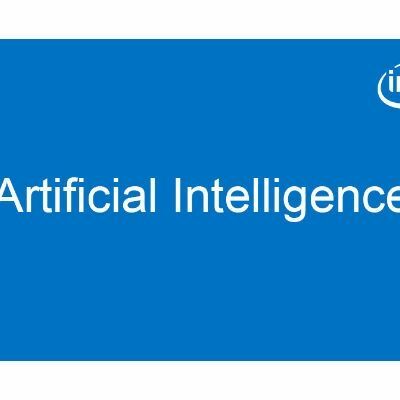 Intel DAAL optimizes the outlier detection methods by taking advantage of new features in future generations of Intel Xeon processors when running the methods on computer systems equipped with these processors.